Florida boasts some of the world’s greatest opportunities for saltwater fishing, so it’s no surprise that hundreds of anglers have qualified for rewards and recognition through the Catch a Florida Memory program. The program has been so successful, the Florida Fish and Wildlife Conservation Commission (FWC) has created a new honor, the Triple Threat Club, for those who participate in all three Catch a Florida Memory programs, including Saltwater Grand Slams, Saltwater Fish Life List and Saltwater Reel Big Fish. To qualify for the club, anglers must have at least one application approved for each program. 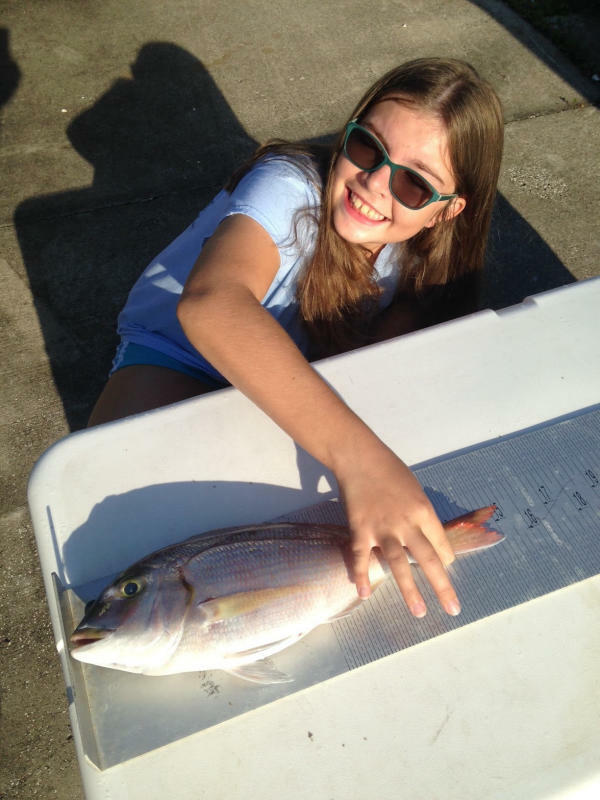 Katlyn Paul, one of the first to reach Triple Threat Club status, is a young angler whose fishing experience has exploded since she started participating in Catch a Florida Memory. Join the Triple Threat Club soon and you will not only receive a long-sleeved performance fishing shirt custom designed by partnerTony Ivory, you will also have a chance to win an exclusive getaway in beautiful Martin County to be raffled off on Nov. 30. 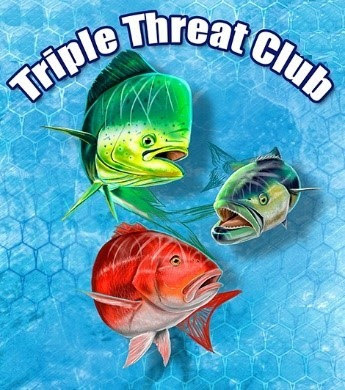 Triple Threat Club shirt artwork by Tony Ivory. Boasting the title of Sailfish Capital of the World, Martin County is an ideal destination for those who love to fish and has everything you need to Catch a Florida Memory. The Martin County Office of Tourism and the Hutchinson Island Marriott Beach Resort & Marinahave partnered to provide the perfect escape, including three nights for two at the beautiful 200-acre resort, meals arranged and provided at various local restaurants, and a Martin County welcome bag. On an island bordered by Atlantic Ocean beaches and the Intracoastal Waterway, this unique resort offers an 18-hole executive golf course, tennis courts, a mini spa and a 77-slip marina. 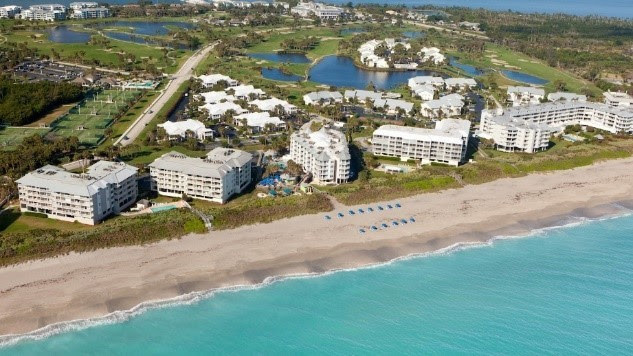 Hutchinson Island Marriott Beach Resort & Marina (Marriott photo). The FWC’s Catch a Florida Memory program encourages anglers to target a variety of species, helping to reduce fishing pressure on the most popular catches. The wide array of saltwater species included in the program leads anglers to try different fishing locations and techniques, expands experiences for avid anglers and cultivates interest in fishing for those new to the sport. Anglers of all ages and skill levels can earn prizes when they achieve a Saltwater Grand Slam (three specified fish caught in 24 hours), submit a Saltwater Reel Big Fish (30 different species that meet a minimum qualifying length) or add at least 10 species to their Saltwater Fish Life List (a challenge to catch 70 saltwater fish species in Florida). Catch-and-release fishing and responsible fish handling practices are encouraged to help minimize stress on fish, and anglers do not have to harvest their catches to qualify. Photos of the angler with each qualifying fish are required. Learn more about Catch a Florida Memory programs and submit catches today at CatchaFloridaMemory.com. Keep track of who’s catching what on the Catch a Florida Memory Facebook page, Facebook.com/CatchaFLMemory. Have questions? Are you a business or organization that would like to partner with Catch a Florida Memory? EmailAnglerRecognition@MyFWC.com or call 850-487-0554.